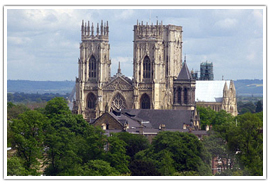 Yorkshire is split between for counties, of which North Yorkshire is the largest and widely regarded as being one of the most beautiful counties in the country. Despite the popular image of Yorkshire, the landscape is not scarred by mine workings or factories with pollution producing chimneys, it is a wonderful place filled with wide open spaces, fields filled with livestock and beautiful towns and villages. There are lots of great houses and stately homes, ruined abbeys and the odd castle or two. There are two incredible National Parks in the county and between them and the draw of atmospheric towns like Whitby, York and Harrogate it is incredibly popular with tourists. At around four hours from London by car and two and a half by train, it is a wonderful place to escape to for a long weekend. 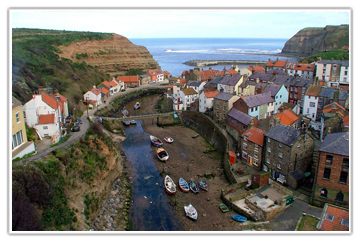 There are some truly beautiful towns and villages in North Yorkshire which are well worth visiting. A traditional seaside resort town, it was, in fact, the first of its kind in the country; complete with donkey rides on the beach in the summer. It is the biggest of all of the seaside resort towns along this stunning stretch of coastline. The seafront is lined with arcades, bars and restaurants and of course fish and chip shops which sell locally caught fish. The gothic town of Whitby is linked forever with Bram Stoker’s ‘Dracula’. The ruins of the old abbey stand watch over the town from the cliff top and appear in many iconic images of the town. The old town has narrow cobbled streets and the new town lots of the high street stores you would expect in any major town. Fresh fish is landed in the harbor daily. 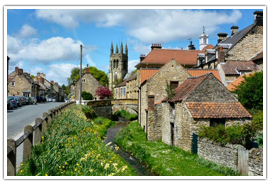 Situated right on the perimeter of the North Yorkshire Moors National Park, Helmsley is a picturesque market town which appears to have changed little over the centuries. Regarded by many as the true gateway to the vast expanse of the North Yorkshire Moors it is a haven for tourists who come to the county to experience the true essence of North Yorkshire. Such a largely rural county has plenty to offer in the way of beautiful parks and outdoor spaces, aside from the North Yorkshire Moors and Yorkshire Dales National Parks. 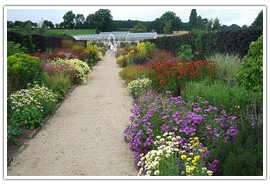 Situated in the shadow of the ruins of Helmsley Castle the walled garden encompassed five acres of fully restored gardens and glass houses. Visitors can enjoy the restfulness of the Garden of Contemplation or enjoy the displays of color in the Clematis Garden. There is also an edible flower garden and an extensive vegetable garden. The gardens are open between April and September from 9.30am – 5.00pm. 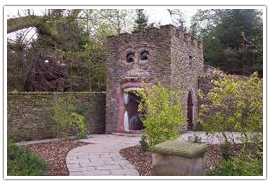 A unique attraction, The Forbidden Corner covers four acres of gardens filled with follies, secret chambers, tunnels, and surprises which can be found as you explore the labyrinth which makes the garden so unique. Discover the underworld temple and glass pyramid while forgetting that you are in fact in the heart of the Yorkshire Dales Tupgill Park. Tickets need to be booked for the gardens in advance; they are open daily from April until November. 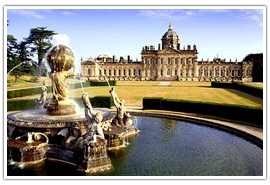 The grounds and gardens at Castle Howard offer, lakeside walks, woodland trails, fountains, statues and incredible scenery. Visitors can relax in the beautiful walled garden or learn about the grounds on a woodland garden trail. There are a number of secrets around the garden just waiting to be discovered. The gardens are open daily from March to November. 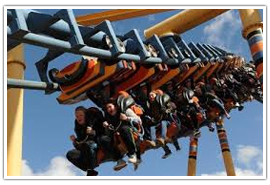 Located in Malton, Flamingo Land offers a fun-filled day for all the family. Not only will the children enjoy the thrill rides in the theme park they will also enjoy being able to see all of their favorite animals in the Flamingo land Zoo. There really is something here for all members of the family with plenty of places to rest and grab some refreshments. Visit http://www.flamingoland.co.uk for more information. 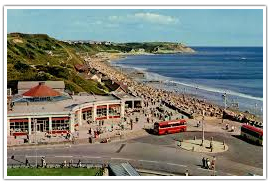 Located in Scarborough’s North Bay, the headland is home to Scarborough’s Sea Life Centre. 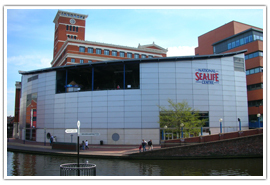 As well as the indoor marine attractions, outside you will find otters, penguins, and seals. Visitors can also handle creatures in the rock pools exhibit and learn all about the marine life around the UK and the rest of the world. Visit http://www.visitsealife.com/scarborough for more details. 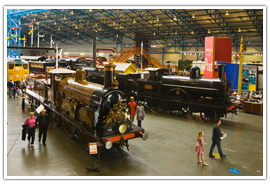 Located in the heart of the city of York the National Railway Museum is filled with more than three centuries of rail history. Here you will find iconic steam locomotives, diesel engines and the very latest in rail technology. Visitors can see restoration work taking place in the workshop, ride the miniature railway and indulge in their dreams of stepping onto the footplates of some of the greatest locomotives in history. Visit http://www.nrm.org.uk/ for further details. In the heat of the City of York beautiful York Minster stands proud, one of the finest examples of medieval building skills in Europe. Beneath the Minster lies a Roman Basilica, the ceremonial center and heart of the Roman Fortress which once stood on the site. The Minster we see now took more than 250 years to build. See http://www.yorkminster.org for more details about this incredible building. Get out and explore the county, on foot, by water or from the air. Lead your chosen Llama through the stunning countryside of Nidderdale. As you both walk he carries your equipment and your picnic supplies. Please note that you will not be able to ride a llama! 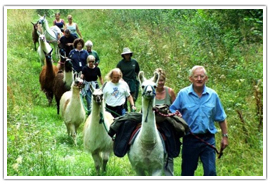 Visit http://www.nidderdalellamas.org for more information about the Nidderdale Llamas. Pay a visit to the Scarborough Surf School and try your hand at surfing or paddle boarding in Cayton bay just to the south of Scarborough. All the equipment you will need is available to hire and whatever your experience level there will be an activity to enjoy. 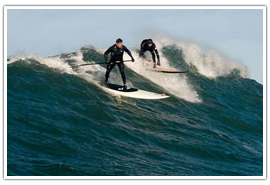 Visit http://www.scarboroughsurfschool.co.uk for further details. Take to the air and get a whole new perspective on the area with Pennine Helicopters. Chose from a selection of themed flights which offer views across different areas and attractions within the county. 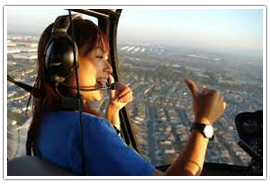 Visit http://www.penninehelis.com to learn more about the different options available. Relax and enjoy your surroundings while treating yourself to a traditional afternoon tea. Located in the pretty town of Yarm, Crathorne Hall has played host to many politicians and dignitaries since it was built in 1903. Afternoon tea is served in the drawing room between 12.00pm – 5.30pm daily. Guests can enjoy delicate finger sandwiches, fresh cream cakes, and freshly baked scones with either tea or coffee for around £17.50. Visit Hand Picked Hotels for more information. Located in Skipton, the hotel serves afternoon tea in the atmospheric surroundings of the Huntsman’s Lodge, complete with roaring open fire when the weather turned colder. Guests can enjoy a selection of sandwiches, cake, and scones along with a selection of teas from Taylors of Harrogate. Afternoon tea is served between 2.00pm – 5.30pm every day and costs around £16.50. Visit http://www.theconistonhotel.com for more details. 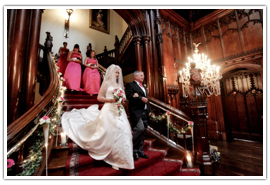 The county has some simply stunning wedding venues for the perfect fairytale wedding. Located in York Museum Gardens the Hospitium offers a unique setting for a wedding. The building dates from the 14th century and is overlooked by the atmospheric ruins of St Mary’s Abbey which present the perfect backdrop for your wedding photographs. The Hospitium is a truly intimate and unique wedding venue. 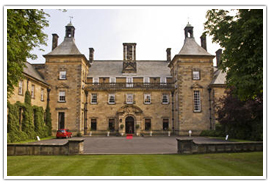 Located in Knaresborough, Allerton Castle is a spectacular wedding venue. This truly is the perfect backdrop for a fairytale wedding. The 18th-century castle is surrounded by more than 200 acres of incredible grounds and gardens, in which it is possible to have a fireworks display arranged as part of your celebrations. 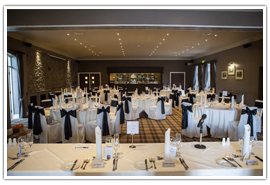 Located in Skipton the hotel offers a wonderful lakeside wedding venue. Set in the heart of the Yorkshire Dales the hotel is nestled within a full 1400 acres of some of the most beautiful scenery in the country. There is a choice of four locations for the ceremony as well as the conservatory and lawns available for use by the guests. With more than 400 campsites available in the county there is more than enough choice for everyone. • Lower Wensleydale Caravan Club Site – Harmby, Leyburn, North Yorkshire. • Richmond Hargill House Caravan Club Site – Richmond, North Yorkshire. • Abbey View House Certificated Site – High Normanby, Whitby, North Yorkshire. • Fox Covert Certificated Site – Huby, York, North Yorkshire. 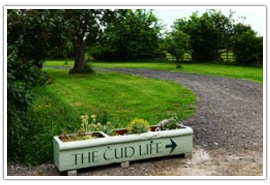 • The Cud Life Certificated Site – Killinghall, Harrogate, North Yorkshire. • Prospect Farm Certificated Site – Thornton Le Dale, Pickering, North Yorkshire. • The Green Dragon Inn Campsite – Hardraw, Hawes, North Yorkshire. 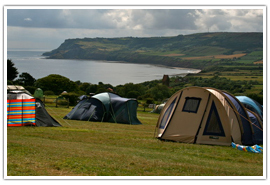 • Filey Brigg Touring Caravan Park – North Cliff, Filey, North Yorkshire. 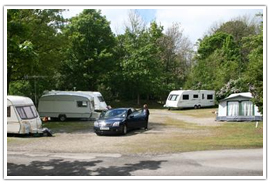 • Whinstone View Caravan and Camping Site – Langbaurgh, Great Ayton, North Yorkshire. • Tocketts Mill Caravan Park – Guisborough, North Yorkshire.